As your local CCTV Wolverhampton Security Business, here at SGS Systems we are on hand to assist with all your CCTV Wolverhampton security needs, so that your premises, no matter what size and level of complexity, is fully monitored and protected day and night. Supplying CCTV Wolverhampton to privately owned homes and commercial business clients across the city and surrounding areas of the West Midlands, our qualified CCTV Wolverhampton engineers install high quality CCTV equipment in varying specifications from simple CCTV systems, to multi-camera operations or for large and more sophisticated networks – we offer fully-functional CCTV Wolverhampton installations. In conjunction with our CCTV Wolverhampton systems and depending on your budget, we supply and connect camera’s with various options, from back and white or colour cameras, overt or convert cameras and static or fully functional cameras – all of these terms are explained and can be found on our SGS Systems Ltd CCTV website page: http://www.sgssystems.com/security-systems/cctv/. 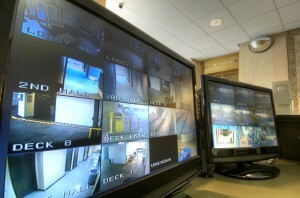 Finally, CCTV Wolverhampton Monitoring – depending on preference, all our CCTV systems can be connected through to your designated control room for on-site monitoring or connected by using PSTN or ISDN lines. Alternatively, we can link CCTV Wolverhampton Systems into central monitoring alarm receiving centres, where highly trained surveillance teams are on hand to monitor your premises, 24 hours a day, 7 days a week. Supported by our maintenance contract service, all our CCTV Wolverhampton security monitoring systems are thoroughly checked and tested annually to ensure that the equipment is kept in good working order and up to standard. For further information with regards to our CCTV Wolverhampton Security solutions, or for any other types of Wolverhampton Security Alarms, please contact SGS Systems Ltd to book a confidential review of your premises, by one of our senior CCTV Wolverhampton security engineers.